What Zachary Shore refers to as ‘strategic empathy’ is a vitally important concept in international affairs, and he is to be lauded for this intelligent, discerning, and engagingly written book. Fredrik Logevall, Author of Embers of War , Winner of the 2013 Pulitzer Prize for History. Despite a decade of military operations across Afghanistan, by the winter of 2010 it had become clear that the United States was not succeeding. Hoping to induce the Afghan insurgents into peace talks, U.S. and NATO officials tried to bribe the Taliban to the conference table. They paid an undisclosed and hefty sum to Mullah Akhtar Muhammad Mansour for his participation, at one point flying the Taliban's second-in-command to meet with President Hamid Karzai in Kabul. The talks seemed to be proceeding well. Mansour's demands were remarkably reasonable. Yet one thing did trouble some officials. Mansour was several inches shorter than he should have been. Unfortunately, the Taliban commander was a fake, a shopkeeper from Quetta, Pakistan.1 Following the third round of negotiations, the clever merchant made off with a fortune, no doubt laughing as he spirited his wealth away. The episode exposed how poorly the United States knew its enemy in this ongoing war. On a superficial level, American and NATO officials could not even identify the number-two man in their opponent's organization. On the more strategic level, they did not notice that throughout three separate meetings, the impostor never once requested that foreign troops withdraw from Afghan soil—a staple of Taliban demands. Without concrete descriptions of Mansour's appearance, the United States and NATO had to focus on his behavior. Did he think the way a Taliban commander would? In a sense, they needed to read Mansour's mind. What NATO and U.S. officials lacked was strategic empathy: the ability to think like their opponent. Strategic empathy is the skill of stepping out of our own heads and into the minds of others. It is what allows us to pinpoint what truly drives and constrains the other side. Unlike stereotypes, which lump people into simplistic categories, strategic empathy distinguishes what is unique about individuals and their situation. To achieve strategic empathy, you must first identify the information that matters most. Knowing how another thinks depends initially on gathering and analyzing information. Most leaders use the “great mass” approach. Drawing on intelligence networks, they gather up as much data as they can. The problem, of course, is that it is too easy to drown in an ocean of information. Determining which data matter and connecting the dots then grows even harder. In contrast to the great mass approach, others believe that a “thin slice” of information is more effective at revealing someone's true nature. The danger is that we often choose the wrong slice, leading us painfully astray. The conclusion here is inescapable. The quantity of information is irrelevant; it's the relevance of any quantity that matters. The key is not to collect a great mass or a thin slice but the right chunk. The challenge that has long bedeviled leaders is to find heuristics—decision-making shortcuts—to help them locate those right chunks. Such shortcuts would not generate omniscience, but they would equip us with a sense for what makes our enemies tick. And that sense would greatly improve our odds of anticipating the enemy's actions. This is what strategic empathy enables, and you can imagine how valuable this skill would be. This is a book about prediction, though not of the ordinary kind. It is not about predicting sports matches, stock markets, elections, or any of the typical things people bet on. Instead, it's about predicting other people's behavior when the stakes are the highest they can be—over matters of war and peace. It's a book about how we get out of our own minds and into someone else's head, and it focuses on how national leaders in modern times have struggled to do it well. This is specifically a history of how leaders within governments have tried to think like their enemies. It explores the zig-zag stories when each side in a conflict sought to outmaneuver the other. It is a walk through one of the twentieth-century's most challenging yet crucial quests: reading the enemy mind. Kadeesha was intrigued. The next e-mail came a few days later. Again it predicted the result of a race just twenty-four hours in advance, this one at Suffolk Downs in Boston. How could this “system” know anything about a race in America? Kadeesha figured, “I’m up for a laugh,” and this time, as instructed, she put a small amount of money on Laced Up. Though not the favorite, her horse won again. Now Kadeesha was hooked. When the third e-mail came, she zoomed out from her desk at work to the nearest betting shop. She put down 20 quid, which for her was not a small sum, on a horse named Naughton Brook, an eighteen to one outsider. Nervous and excited, she repeated to herself, “This had betta’ win. Oh, God, this had betta’ win.” As the announcer declared the winner, Kadeesha shrieked, “Thank you, The System!”She had just won 360 pounds. Race four took place back at Wolverhampton. The 2:45, a horse called Formation. The odds of correctly predicting four of these races in a row stood at nearly a thousand to one. But Formation did win, and Kadeesha had now made over 500 pounds. The System, it seemed, could not lose. By Fiona Hill and Clifford G. Gaddy, Washington, DC: Brookings Institution Press, 2015. From Chapter One: Who is Mr. Putin?, page 3 of the ebook version. If, in fact, Putin's behavior in the Ukraine crisis was really different from the past, it could provide an opportunity to understand him better. 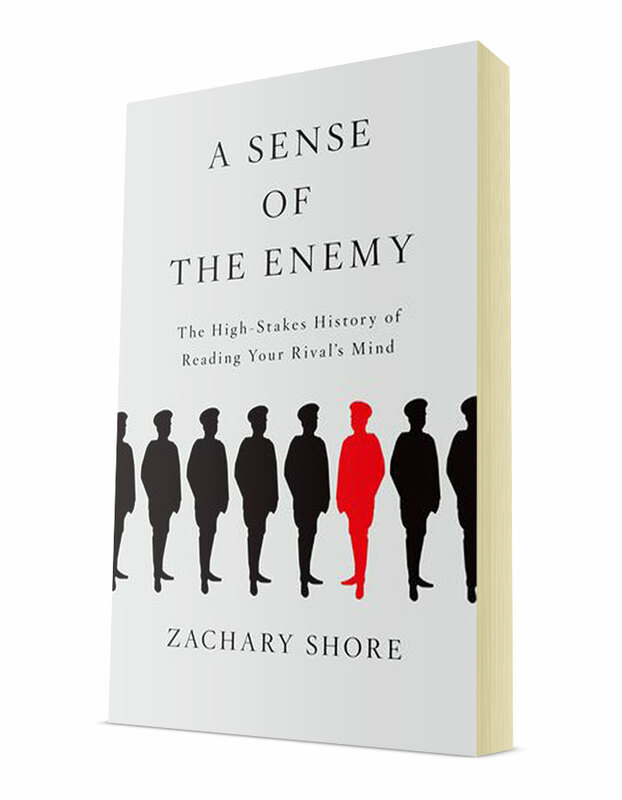 In his 2014 book, A Sense of the Enemy: The High-Stakes History of Reading Your Rival's Mind, Zachary Shore argues that it is precisely when people break with previous patterns of behavior that we can begin to gain an understanding of their real character. Patterns of past behavior are a poor predictor of how a person will act in the future. Contexts change and alter people's actions. Pattern breaks are key for analyzing individual behavior. They push us to focus on the invariant aspects of the person's self. They help reveal the hidden drivers, the underlying motivations, and what an actor, a leader, values most. This is the essence of our approach in this book. The book is an effort to figure out who Mr. Putin is in terms of his motivations – what drives him to act as he does? Rather than present a chronicle of events in which Putin played a role, we concentrate on events that shaped him. We look at formative experiences of Putin's past. And where we do examine his actions, we focus on the circumstances in which he acted. Our reasoning is that if Putin's actions and words differed during the crisis in Ukraine in 2014 from what we might have expected in the past, it is likely that the circumstances changed. Indeed, as we will lay out and describe in the two parts of this book, Vladimir Putin's behavior is driven by the imperative to adapt and respond to changing – especially, unpredicted – circumstances. Five scholars review A Sense of the Enemy in the online publication H-Diplo. View the complete set of reviews and the author’s response. Does even Nate Silver have limits? Zachary Shore articulates a provocative and compelling argument about a crucial yet understudied issue lying at the heart of decision making – how to read one's rivals. The analysis is developed in the context of artfully chosen, snappily written, historical case studies that make for captivating reading in and of themselves. This work will be of significant value and interest to scholars and policy makers alike. Aviel Roshwald, Professor of History, Georgetown University, and Author of The Endurance of Nationalism .